There are nearly 7.5 billion people on this planet. That’s 7.5 billion personalities, interests, thoughts, and opinions. It just doesn’t make sense for businesses to try to market to all of these free-thinking humans with a one-size-fits-all strategy. Granted, few marketers are trying to reach every person on the planet (including all those babies), but the idea is the same—messages become blurry, and communication becomes cold or impersonal when it’s trying to reach everyone. And lately, there’s no denying the power of the personal touch. From seeing your name in an email from a company you shop with to platforms like Netflix providing custom binge-worthy recommendations, these mindful touch points simply keep you engaged—and feeling good— longer. Hyper-personalization is quickly becoming the standard for turning leads into customers, and customers into brand advocates. It’s a big step beyond the basic personalization tactics of yore (and while those are still very relevant, hyper-personalization brings your brand even closer to every lead or customer). While it may seem like a play reserved for big businesses, here’s how even one-person startups can start raking in more profits and loyalty with deeper email hyper-personalization. We definitely feel like personalization is important. After all, who doesn’t like being referred to by name at their favorite restaurant or getting an inbox stuffed with coupons on their birthday? But is the effort to create a tailored experience worth it? After all, small teams and solopreneurs have limited time to devote to their marketing strategies. Research has proven that both your customers and bottom line benefit from email personalization tactics. Responsive personalization can deliver five to eight times the ROI on marketing spend according to research by McKinsey. That means at least a 400% boost in revenue. Cheetah Digital found that unique click rates lifted more than 45% for promotional emails containing a personalized subject line. The fact is, consumers would rather have personalized experiences, so they’ll go where the brand speaks to them. And while marketers understand that, many simply aren’t personalizing their messaging like they should. Despite collecting reams of data from leads and customers, many businesses aren’t sure how to dig out the insight and use it accordingly. This sort of paralysis leads to no personalization and a lot of untapped opportunities. If you can listen to your customers and responsively engage with them through your email communications (and other relevant content), you will be on your way to building a strong base of loyal customers and brand advocates. What Is Hyper-Personalization (and Is It Really Better than Basic Email Personalization)? Basic personalization is achieved through collecting demographic information. You know, all the questions you answer on forms like the U.S. Census—age, gender, location, industry, etc. It’s the information you rely on to place a lead’s name in a subject line, send them information at the right hour for their time zone, and tell them about news or promos relevant to their geographic location. Hyper-personalization, on the other hand, is made possible by combining the demographic information you’ve collected with real-time data that changes with each new action your leads take. This strategy layers real customer behavior—browsing history, purchases made, episodes watched, songs liked, social media posts—on top of demographic information in order to create personalization beyond a first name. Hyper-personalization may seem like a marketing technique reserved for big businesses where there are no limits on money and time. Creating a personal experience for your leads and customers does take a bit more time than sending a one-size-fits-all email, but hyper-personalization is absolutely possible for even mid-size and one-person teams. Collect the right data: While you do want to create a deep pool of information for each of your contacts, it’s a good idea to keep your forms short and sweet. For your opt-in forms, ask for the basics, i.e., first name, last name, and email address. These are standard asks when people sign up for a newsletter or to receive company updates. 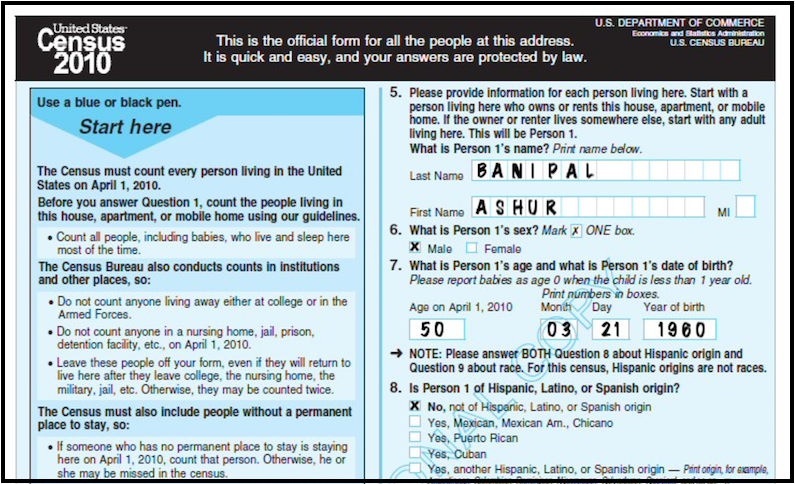 If you’re after demographic information beyond that, consider asking for that information later on. A birthday message like the one below can generate four times as many transactions as other promotional emails. Cheetah Digital suggests asking for a subscriber’s birthdate in a dedicated email within a series of welcome emails after someone opts in. When you’re ready to turn personalization to hyper-drive, start looking at deeper data. Purchase history, pages browsed, acquisition method, and more are all pieces of information that will help you hone your messaging to your customers. You can track this information by applying tags, or labels, to leads and customers when they complete specific actions. Many marketing automation tools today are able to automatically apply tags to subscribers, which makes for easy segmentation. For example, apply tags to subscribers when they visit specific product pages on your website. Then, send them an email that shows more about the product they were just looking at. Start with dynamic text: As mentioned above, uncomplicated personalization strategies can pack a punch with open and click-through rates. Adding a subscriber’s name to a subject line, for example, is one way to implement dynamic text. Dynamic text is text that changes based on the information provided by your subscriber. Liquid code is one way to quickly load dynamic content into emails without having to learn your own code. Use the right integrations: Connect your email marketing tool to your CRM, ecommerce platform, teaching tool, or whatever else is filling out your marketing stack. Connecting your tools through native integrations, or with integration-enabling software like Zapier, lets you gather even more information about your leads. Instead of trying to piece together the information you get about someone from an opt-in box and an online course and a webinar, set up smart integrations to build robust profiles. If a subscriber is highly engaged with your online courses in MemberPress, for example, connect that platform to Drip to automatically send them congratulatory messages when they hit certain milestones. With more data about each contact, you can better automate and personalize the customer journey. Automate everything: Speaking of automation. . .
It’s one thing to send an email that addresses your subscriber by their name, but you now have the power to go beyond that by sending them emails relevant to the actions they just took. With email marketing automation tools, you can create workflows that will automatically speak with leads when they complete different actions. Or take this example from Wistia. I just made my first Soapbox video, and much to my surprise, I got this little joyful nugget of an email in my inbox shortly after. It’s messages like this that arrive at just the right time that create memorable touch points with your customers. Automation makes it possible to get personal even when you aren’t watching a lead’s every move (because, much like everyone else, you have other things to worry about). But once you invest the time to create automated workflows that will deploy the right message at the right time, the payback could be huge. Personalize the entire customer journey: While a hyper-personalized email that arrives in a lead’s inbox at the right time with the right message is the new marketing standard, don’t stop there. Don’t wait for your leads to open their emails for you to get personal; instead, personalize the entire customer journey. A great example of an engaging experience chock-full of hyper-personalization is this page about craft breweries—but it speaks directly to me, in Minneapolis. The links in your emails should lead your customers to personalized landing pages, product pages based on their interests, custom call-to-action buttons, and more. Each personal touch will bring your business and leads closer together. And don’t forget: Keep track of what’s working through analytics. In a tool like Drip, you can easily see which personalized emails are hitting the mark within the app. By keeping an eye on data like email clicks, growth, and unsubscribe rates, you can see how each communication is performing. Make adjustments to copy length, the language you use, and your level of hyper-personalization, and crack your own hyper-personalization code. Fill your toolbox with tools to help you: In order to make hyper-personalization a reality for your marketing strategy, you need to have the right tools. Do you have a tool in your marketing stack right now that can track when a subscriber is doing something on your website? Can you track which emails they’ve opened? Or links they’ve clicked? Do you know if your subscribers love GIFs in their emails or if they unsubscribe at the sight of one? The truth is, hyper-personalization is going to bring you closer to your audience than you thought possible. But you won’t be able to implement this strategy if you don’t have tools that can collect data and act on it. Personalizing your marketing strategy at any point along the customer journey will garner some benefits, but hyper-personalization is a powerful trend on an upward swing. It’s time to tap into your data so you can start turning more leads into customers through personalized, one-to-one communications. Start with personalized language with Liquid code that uses custom fields you collect during the opt-in process. Then, start using more intelligent automated processes to apply tags and collect data based on what your leads and customers are doing in real time. What’s the best example of hyper-personalization you’ve seen in your inbox? Tell us all about it below.